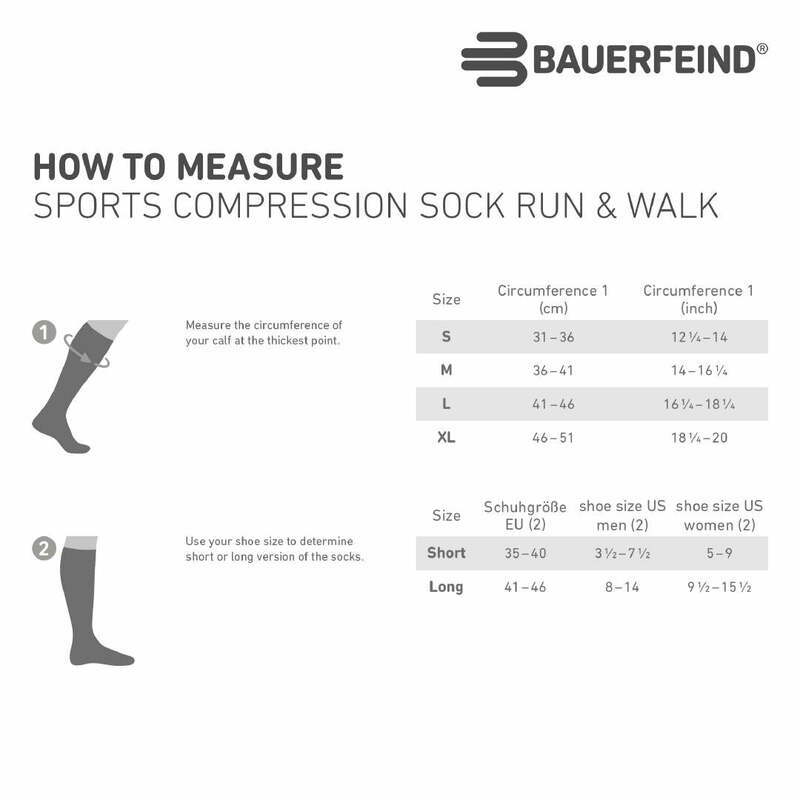 Perform to your peak with the Bauerfeind run and walk sports compression socks. Specially developed for endurance sports, they boost the regeneration of your leg muscles allowing you to train harder with more vitality. 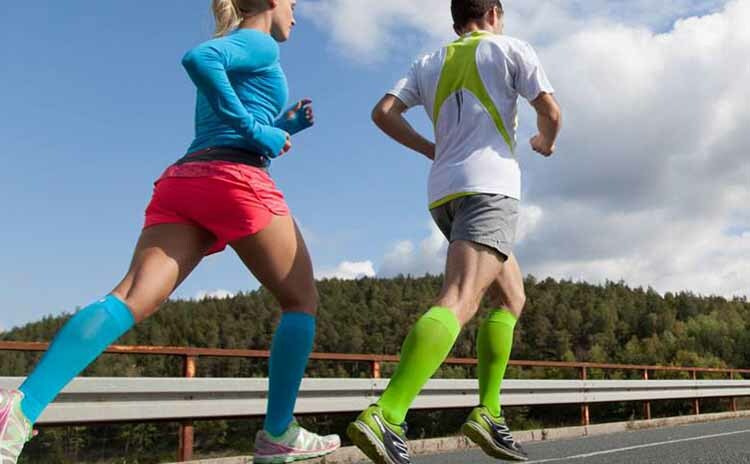 These high quality German made socks exert perceptible gradient compression in accordance with medical standards. 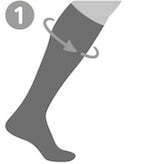 This improves circulation and thus reduces unpleasant muscle vibrations in the calf muscles for less fatigue. 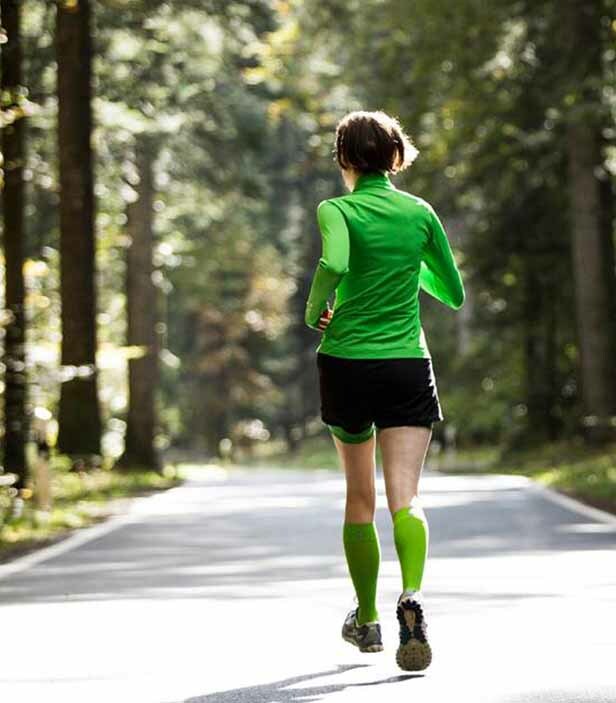 Engineered to keep you moving longer while experiencing less fatigue. Use your European shoe size to determine short or long size (2).